I worked more than 20 years in the hospitality industry and owned and managed small resorts and Scuba Diving Shops in Asia. So I totally understand different travelers need's, mentalities and expectations. This is why Phuket Boatcharter is very service minded, friendly and flexible. 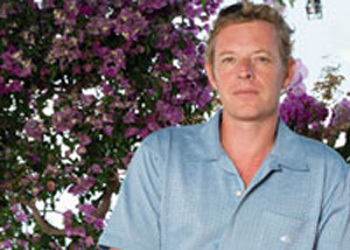 Tell me about your holiday dreams; me and my team tailor your sailing charter to your interests and likes. We are always ready to go the 'extra mile'. I started Phuket Boatcharter 2006 with the Trimaran Aquila. Quickly our services gained a good reputation and other yacht owners asked if I can represent their boat as well. As a company rule I only work with boats I have inspected and know the owner personally. 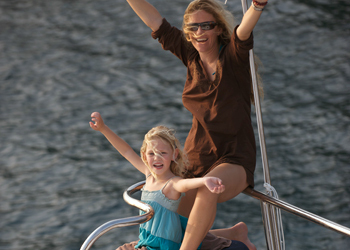 So you can always expect very well maintained yachts, impeccable and friendly service. I want to thank you that you are visiting Phuket Boatcharter's page. Start your vacation right now while browsing and please never hesitate to contact us for any kind of questions. I am looking forward hearing from and welcoming you aboard very soon. Most ore yachts are Multihulls. Catamarans are super safe, since they are stable in the water and very wide. The whole trip is a great adventure. Every morning you wake up in new exciting destination and before breakfast you can jump into the water for a swim. You never had a bigger swimming pool. You can go snorkeling, kayaking or explore the beach, the mangroves, caves (tell them a story about a Pirate Treasure Chest) and jungle. When kids are aboard, we always offer 'kiddies menus'. Speaking about it: we emphasize on healthy, fresh food and try to avoid deep fried items. Another plus: Thai people love kids. If desired we always can organize a Nanny. If you have infants we even can help you organize necessary items like cribs etc. To cut it short: the fresh Thai- and International Cuisine onboard is fantastic, since your experienced Thai Chef has plenty of time to prepare your meals and she knows ahead of time what you like or don't. After your booking we will send you a small questionnaire, asking about your food preferences. Let us know what you want for breakfast, tell us if you want to eat spicy, if there are known allergies or if you prefer vegetarian dishes. Your private Thai Chef will prepare all the meals accordingly every day fresh for you. 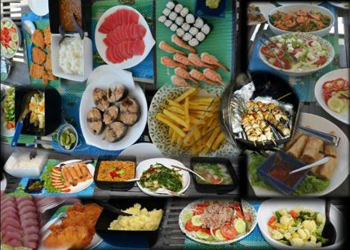 You will amazed about variety, quantity, presentation and taste.,br>The cuisine aboard is one of the highlight's of your Sailing Yacht Charter with us in Phuket Thailand.